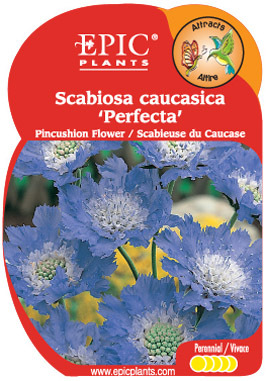 Popular, late-summer blooming perennial with grey-green leaves and large, pincushion-like lavender-blue flowers. Excellent cutflower. Best in groups near the front of a bed.